Designated as UNS N02201 or W.Nr. 2.4061 & 2.4068, Nickel 201 is has almost identical chemical composition as Nickel 200 except the lower-carbon content. 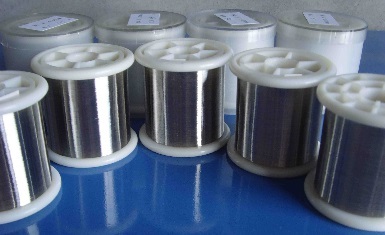 Nickel 201 is typically applied in caustic evaporators, combustion boats, plater bars, as well as electronic components. Compared to Nickel 200, Nickel 201 has much lower base hardness and lower work-hardening rate hence is particularly suited for spinning and cold forming. According to ASME Boiler and Pressure Vessel Code Section VIII-Division 1, Nickel 201 is approved for construction of pressure vessels for service up to 1250°F. Its mechanical properties also vary depending on the manufacture process and heat treatment conditions. 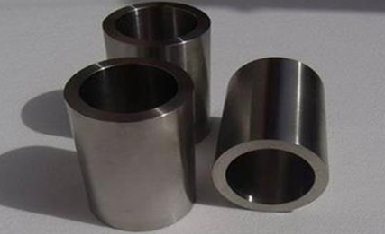 Pipe length of Nickel 201, 3″ W.T=8 mm, ASTM B161 UNS N02201. 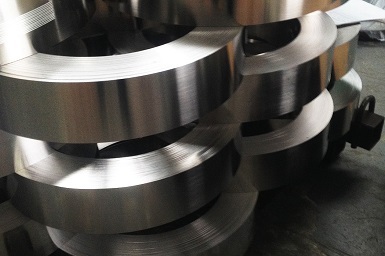 Nickel 201 strip in coils, 60 mm x 1.25 mm thick.